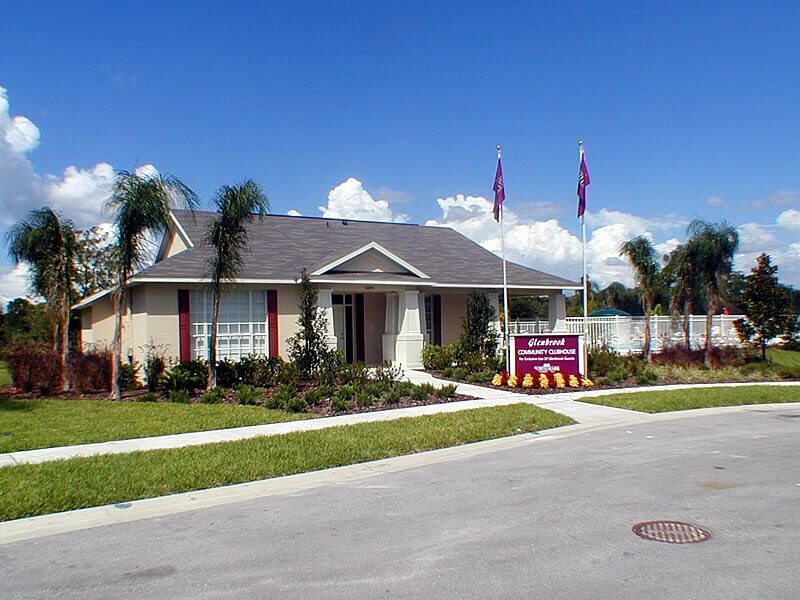 Glenbrook is located north of the US 192, on the US 27, and only a 20 minutes’ drive from Walt Disney World Resort. A great location to access Interstate 4, which is the main corridor through Central Florida to access all the theme parks and coasts. There is a 24 hour super Wal-Mart a very short drive from Glenbrook plus a selection of restaurants within a close proximity. Lots of further shops and restaurants can be found close by on the US192. These include chilli’s, Longhorn, Houlihans, Orlando Ale House and Texas Roadhouse. Glenbrook resort boasts a range of fantastic amenities for when you feel like spending some time away from the parks. These include an impressive clubhouse with games room which includes air hockey, pool table and the media room with its flat-screened TV, DVD and wireless Internet plus two computers and printer for guests to use free of charge..
Video games and DVD’s can be borrowed for free from the clubhouse with just a refundable deposit. 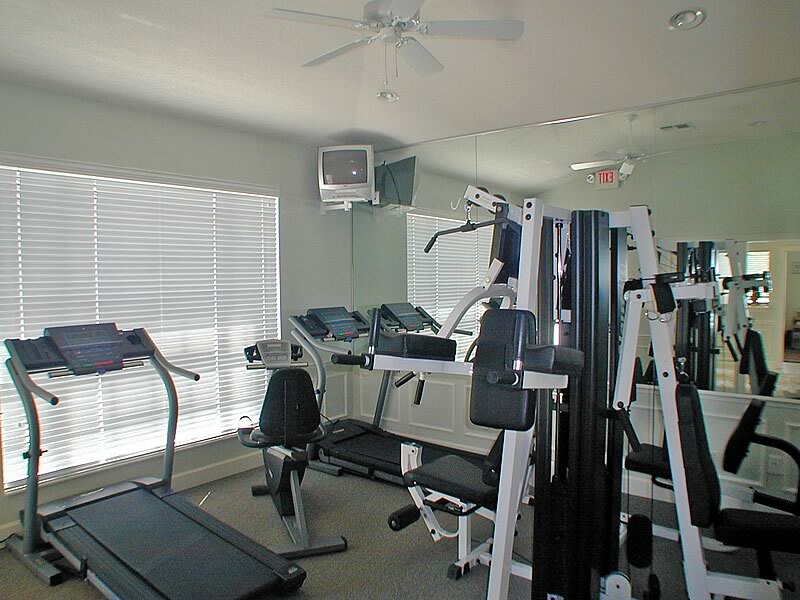 The clubhouse also has a gym with a separate access door. The office staff will supply you with a key for this if required so you can go to the gym at any time you choose. All the facilities at the Glenbrook Resort are available free of charge for guests. A taxi service is available for a fee to take you to the parks or malls as required. The resort's large community swimming pool is complete with its own sparkling waterfall and provides a great place to relax and unwind. If running around the parks and attractions all day isn't enough, fitness fanatics will enjoy the jogging trails around the complex and the on-site tennis courts. Our fully air conditioned lakeside villa, completed in 2003, offers all the benefits of home and much, much, more. 4 bedrooms including 2 master suites both with king beds and his/her vanity basins, 3.5 baths including a pool bath, a Great Room, fully fitted kitchen, south-facing screened deck with pool and spa and a two car garage (with electronic door opener). Just open the front entry door and you can see right through the bright, spacious living area to the sparkling pool and lake at the rear, WOW! Pictures, plants and designer decorations complete a real Florida feel and adds to that feeling of luxury. Our on-site Management company is available 24 hrs a day to offer any assistance you may require including a concierge service allowing you to collect your Villa key on arrival at the resort. 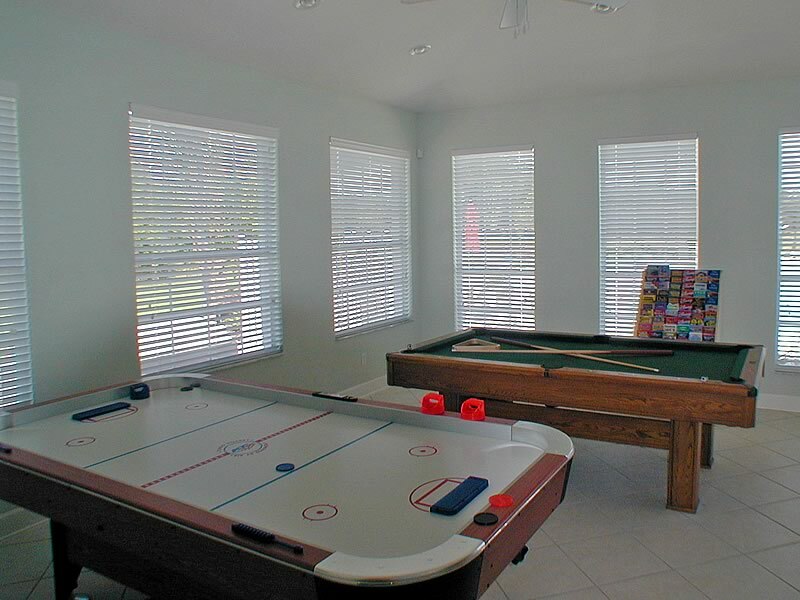 The fully equipped games room features a 7' billiard table and table tennis table, a 7' hockey table, a 54 inch soccer/American foosball table, and a darts board. 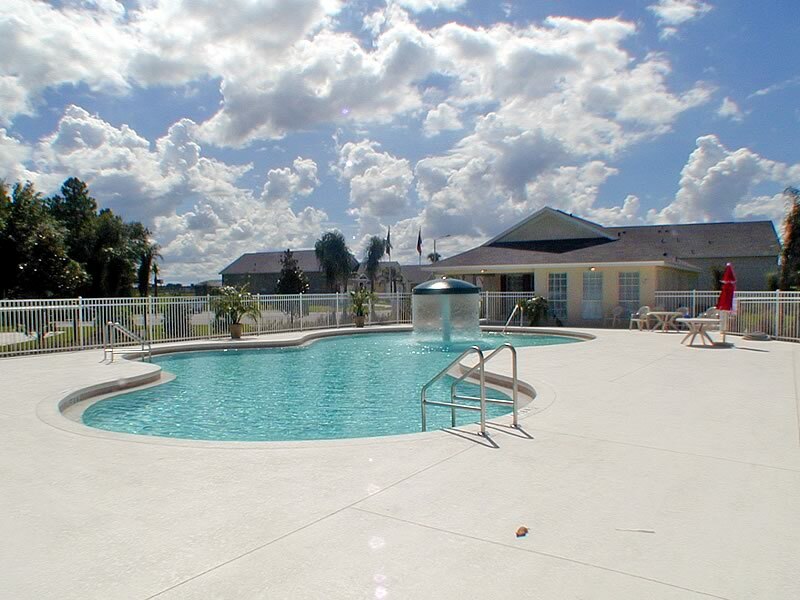 In addition the on-site Resort clubhouse offers all guests free use of a number of recreational activities. These include, a resort-style swimming pool, basketball, volleyball, tennis, clubhouse with gym, billiards, movies and internet access. Master 1 has a king size bed, walk-in wardrobe closet, bedside cabinets, large dressing table and mirror. The en-suite features 'his & hers' vanity basins, an oversized garden tub bath and separate shower. This master suite faces south and overlooks the pool area through large patio doors. Master 2 features a king size bed, large walk-in wardrobe closet, bedside cabinets, large dressing table and mirror. The en-suite features 'his and hers' vanity basins, an oversized garden tub bath and separate shower. This master suite is at the front of the property. The two remaining bedrooms are both twins with 3ft beds, bedside tables, chests and large wardrobe closets. A dedicated bathroom with a walk-in shower serves both these bedrooms. 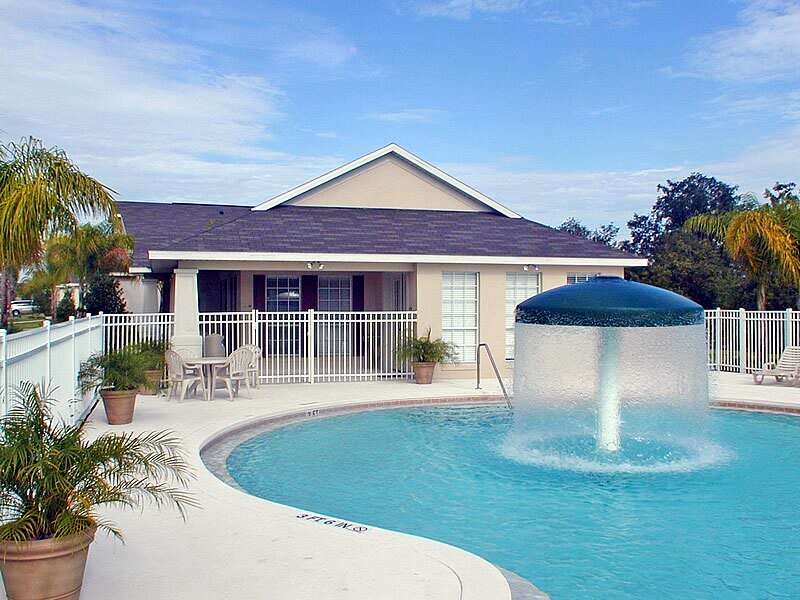 The large 13' x 26' south-facing pool with spa is ideal for relaxing and cooling off. (Pool heating is available). There is a pool bathroom and the deck area is screened and has outside lighting allowing evening entertainment. The deluxe pool furniture includes padded chairs, table and loungers. Just sit, relax and watch the activity on the lake – birds, herons and all types of wildlife but no alligators! Inside, the 'Great Room' overlooks the pool and lake, it has 2 comfortable sofas, one of which is a queen sofa bed, chairs, coffee table and 51 inch HDTV. All the appliances you need, cooker, microwave, dishwasher and large American fridge/freezer. The sink includes a water filter system and waste disposal. All crockery, cutlery, utensils and glasses are provided. The dining area is in part of the 'Great Room' adjacent to the kitchen. The table seats up to eight and there are three stools at the nearby breakfast bar. Don't forget you can even dine waterside, overlooking the lake. Each bedroom has a cable television with the twin rooms also having video players for the children. A large-screen TV and DVD player are situated in the 'Great Room'. Music can be played through the CD stereo if preferred. Free unlimited high-speed internet and email access with a permanent connection. Are more than welcome. Please ask for anything you need. There are cots, high chairs, bottle warmers, lots of extra sheets and blankets, etc available. Everything you would expect from a new 2003 villa with all doors and windows having alarms that sound every time when opened. Smoke detectors are fitting throughout and back-up with a fire extinguisher and emergency lighting. The windows all have locks and all exterior doors are fitted with deadbolt locks. There is also a security safe for use during your stay. The laundry room has a full size washing machine and drier, complete with iron and ironing board and is situated just off the kitchen area. All bed linens, towels and beach towels are included. The villa is cleaned both before and after your visit. Three telephones give free local phone calls (international calls are possible). * Linens and Towels will be provided and all electricity, gas etc is included in the rental price (except pool heating costs). This was a fantastic location and a great house to stay in. Would be perfect for families and groups of friends. The management company was prompt and accommodating. I would definitely recommend this place for anyone visiting Orlando.